The Order of the Bat'leth: founded after Kahless's ascension to Sto-Vo-Kor, the Order was tasked with rooting out dishonorable behavior and spreading the word of Kahless to the Klingon people. In the subsequent millennium, the Order has become more ceremonial, but now Chancellor Martok has called the Order back to its original function -- to preserve the cause of honor. Book Two Captain Klag of the I.K.S. Gorkon -- the newest inductee into the Order -- has given his word to the Children of San-Tarah that the Klingon Empire will leave them in peace. But Klag's old rival General Talak has ordered him to go back on his word and aid Talak in conquering the San-Tarah's world. Now Klag must stand against his fellow Klingons -- but will even his fellow members of the Order of the Bat'leth, not to mention his own crew, follow him into disobedience? Or will they betray him to Talak? The crew of the Gorkon faces its greatest trial in a glorious adventure that will be remembered in song and story throughout the Empire! 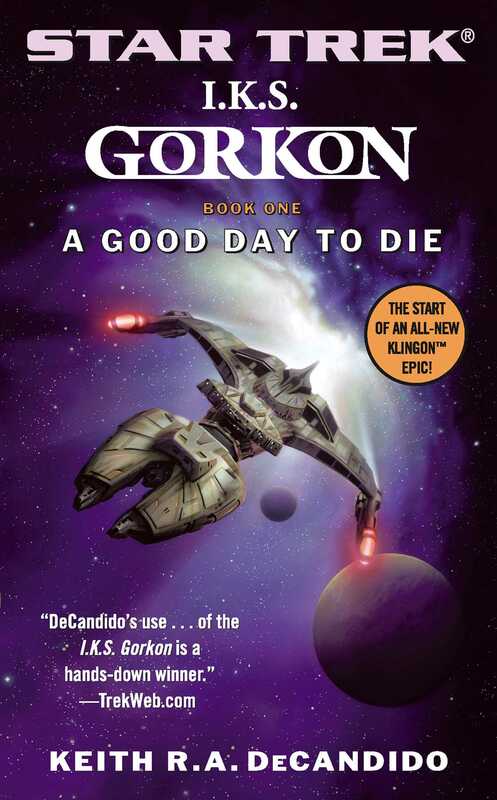 Keith R.A. Decandido is a top genre author whose tie-in novels for Pocket include several Star Trek titles across all series as well as Buffy the Vampire Slayer novelizations. He is also known for his Star Trek: The Next Generation comicbook miniseries Perchance to Dream, and is the editor of several science-fiction and fantasy anthologies.